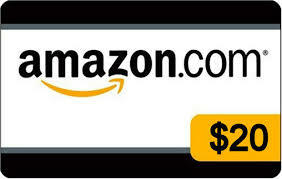 To celebrate our awesome Mission Giveaways this week we are giving away a $20 Amazon Gift Code! We are giving away Fixico PC Maintenance and Superior Source Vitamin Prize Packs in our Mission Giveaways this week. To enter to win the Amazon gift code, just enter via the Rafflecopter below. Giveaway ends July 4, 2013 at 11:59 pm EST. Good luck everyone! th anks..I can use this prize!